The best way to improve your real spoken Spanish and get to a level where you can use it in real life situations. The lessons are 30 minutes long. Conversation classes for children between the age of 6-12 years old. Conversation classes for teenagers between the age of 12 and 17 years old. 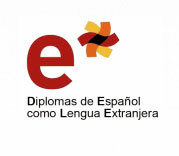 Preparation for DELE exam B1 –escolar (12 and 17 years old). Introduce yourself and introduce others. Make hotel reservations. Check in/out. Because Spanish is the second most-widely spoken language as a mother tongue in the world.